iConcede, a photo by Nicki Clarkson on Flickr. This photo is my latest entry in the technology category of the 23 Things Flickr photo competition. 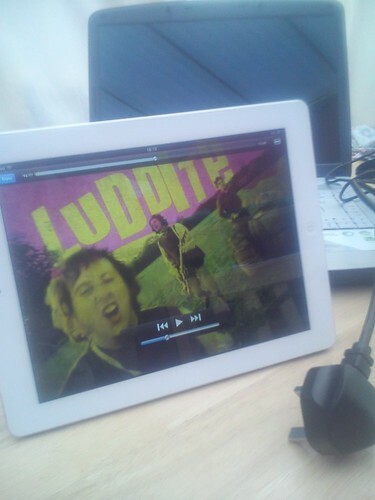 It was inspired by the episode of Horrible Histories shown on the screen. I liked the juxtaposition of Luddite and technology which sums up my relationship with computer related things - I love it when it does what I want but dislike and fear it when I don't understand it.